Our elder son (Anand) is very friendly and kind. His hobbies are cooking, travelling, photography and dancing. He completed MS in Sweden and PhD research in Switzerland.  He recently started working in a Biotech company in Bern (Switzerland). He holds position of "Associate Manager - Scientific/Digital Marketing". We are nuclear and a close-knit family. Father (retired as Senior Executive Officer) and mother (retired as Supervisor) in the accounts department of Telecom Service. We are a inter-religious and inter-caste family (from Tamil Nadu) and settled in Mumbai for the past 35 years. Although, Tamil is our mother-tongue but we can communicate well in Hindi. We celebrate all festivals. Our younger son, Arun has completed his bachelors and is working in the field of media editing/post-production. He has worked on popular TV shows and aspires to be a Bollywood film-maker. We are looking for a well-educated simple girl, who cares for family values.... more Anand is flexible to settle down later in India/abroad depending on best career prospects for himself as well as his partner. The girl can also decide if she wants to pursue her career and continue working or if she prefers to be a home-maker. We let the girl and Anand talk to each other on WhatsApp or through e-mail and decide if their dreams and expectation for future are matching. We are prepared to talk to parents of the girl in meantime. If our children's like each other then we plan to visit each others family and make final decision. We thank you for going through our son`s profile. And we will look forward to hearing from you. We belong to an upper middle class, nuclear family having moderate outlook. Our family is settled in Andheri Mumbai. His father and mother both have retired. He has 1 brother.